APLAZADO por la insistente lluvia caída durante la jornada del domingo día 8 May 2016. The 3 recorridos de son de 45, 22 and 10 km que son conducidos y cerrados por monitores de apoyo que reagruparán a los participantes de vez en cuando para mantener el control de la excursión. 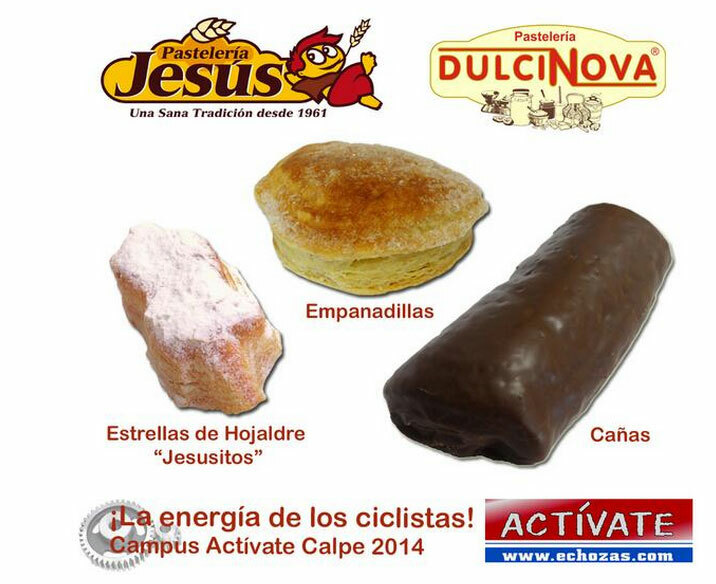 Con la inscripción tienes regalos y avituallamientos al entregar el dorsal a llegar de la ruta y, como colofón de fin de fiesta, habrá un gran sorteo de 40 gifts: conjuntos ropa de ciclismo: maillots, culotes, cascos de ciclismo, material deportivo y regalos especiales para los niños. INSCRIPCIONES: En la explanada del Palacio del Infante don Luis de Borbón desde las 08:30 to 09:50 hours. NEWSLETTER-ENTRY-16 print and fill out and signed at the exit. Salida Bordeando el Palacio se continúa hacia la Ciudad Financiera, you turn right towards the area of ​​the M-50 taking paths in direction and back to the Financial City by the same route of the way up to the palace with right turn over the bridge and make a small South loop Monte to reach the Palace. 2.- 23 km. Coincide con los primeros 23 km travel 1. Salida Bordeando el Palacio se continúa hacia la Ciudad Financiera, you turn right towards the area of ​​the M-50 taking paths in direction and back to the Financial City or the same route the way up to the palace with right turn over the bridge and make a small South loop Monte to reach the Palace. 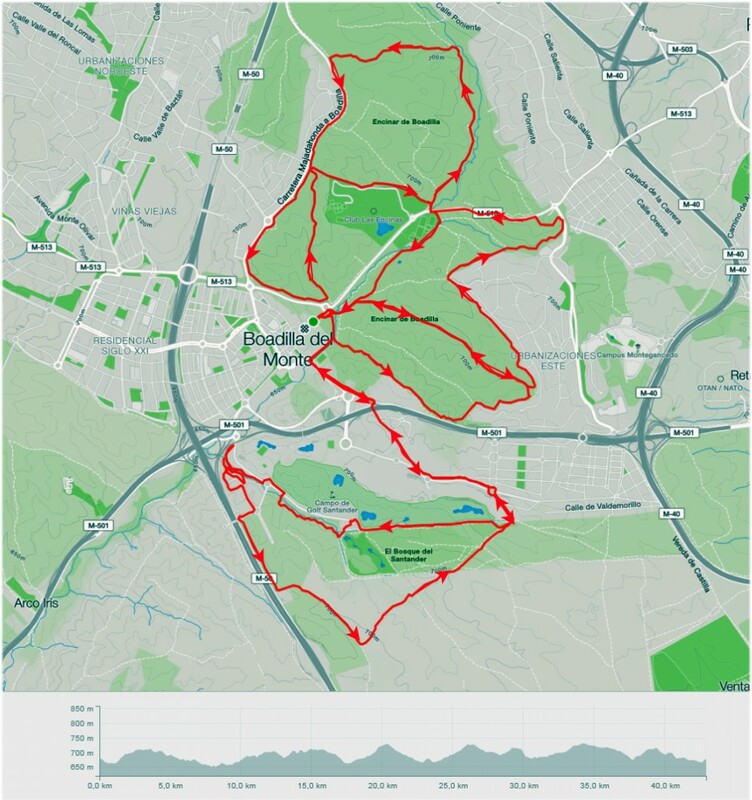 3.- 12 km. Monte Sur y Gymkana en la explanada del Palacio: Travel easy, flat, recommended for children 5 a 10 years and people who want to start with a stroll through the Monte South Majadahonda. 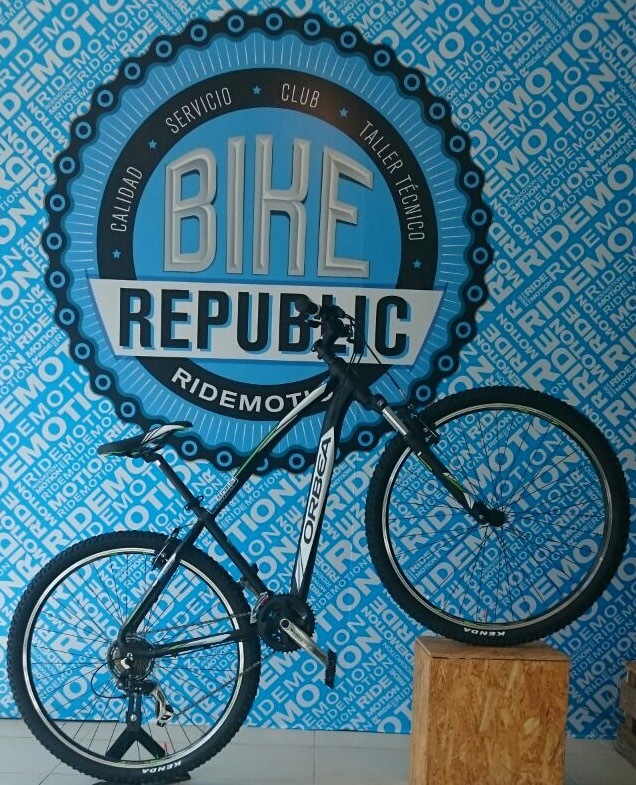 Y Gymkana montada y dirigida por el Club Ciclista Illescas donde se realizará un circuito de entrenamiento de destreza técnica durante una hora. Se realizaron 3 tours (45, 22 and 10 km) adaptados a todos los niveles de iniciación, conducted and closed by monitors support. 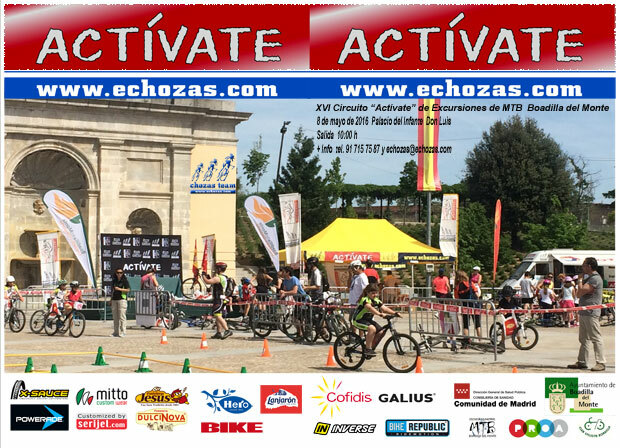 You can view a summary of photos and leave your comment or your profile pictures of Circuit Actívate Facebook and you can see here a photographic summary of the day. 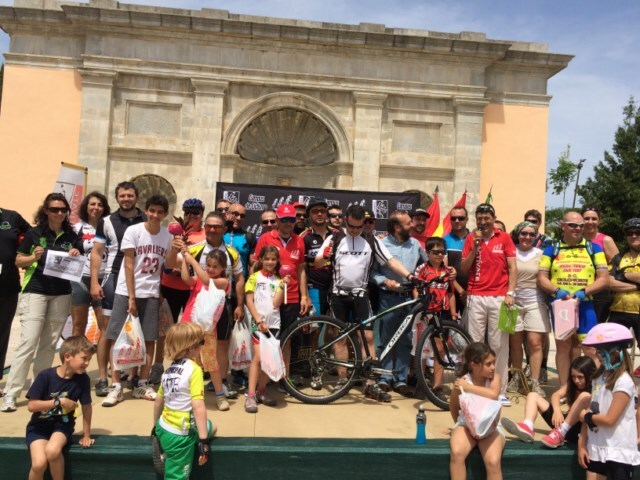 In the spectacular setting of the esplanade of the Palacio del Infante Don Luis de Borbon met 350 cyclists of all ages, from the 5 until 70 years old, whole families, couples, … It is the aim of the circuit to be a day of family sport. 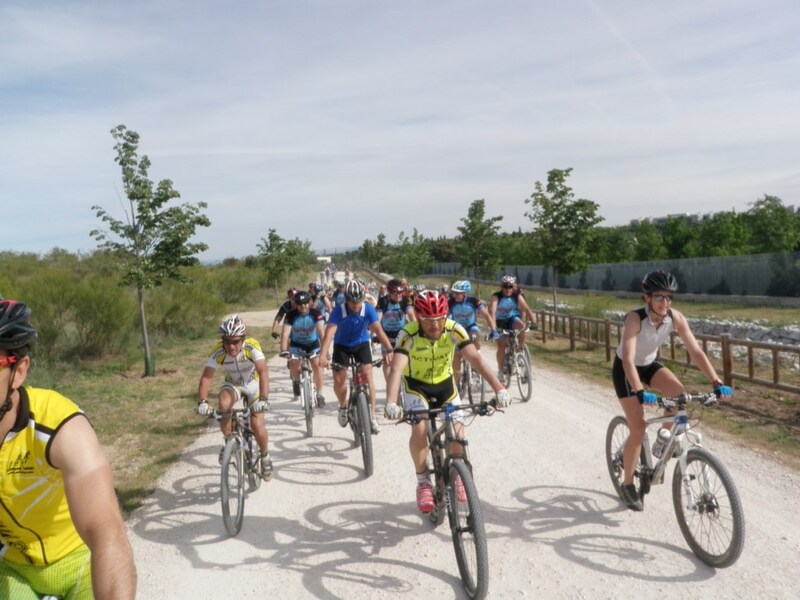 In the 3 tours (45, 27 and 10 km) adapted to the most demanding even for those who are new to the mtb were conducted and closed by monitors supported by Civil Protection Motorcycle, car and bike, during the tour, and the Municipal Police in the urban layout Boadilla. After the first 27 the G-1 km take the supplies and continued to complete the 2nd loop through the woods and Monte South North, while at the same time came the smaller G-3 who collected the bag filled with gifts and cake and refreshment bars, expected to conclude the G-2 and G-3 coming in unison on the edge of the 13:00 h. Already like finale were given the 37 gifts with many cycling jerseys, Helmets, 10 exclusive prizes for the little ones and finally a bike bike muontain. 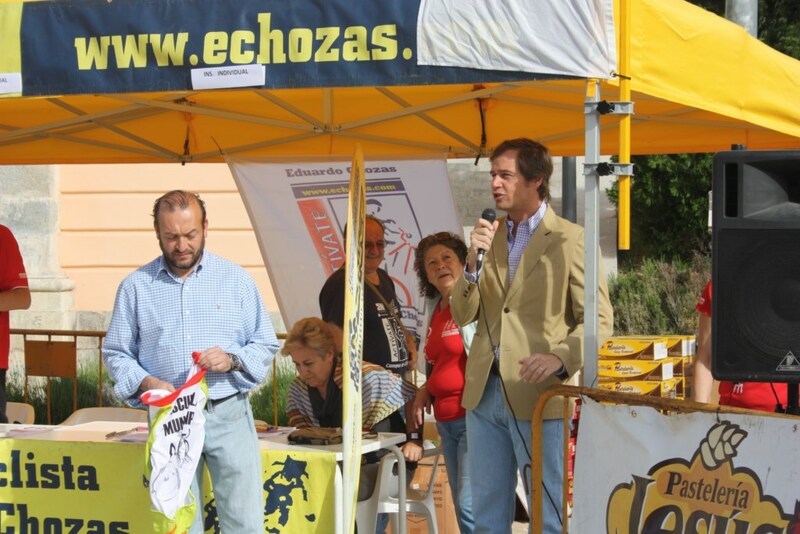 Mayor Antonio González Boadilla Terol and Adolfo Arias, Councilman Sports, were present to give the output 10:oo horas. Thanking all participants, Contributors, sponsors and the City of Boadilla for betting on sports and health. With the message “Make family sport” The municipality of Eduardo Boadilla huts and got the goal that 370 Cyclists, Sports enthusiasts of mountain biking which 116 local participants were, realizasen the 3 defendants who were prepared to adapt them to all public, recently initiated from the most demanding (paths 10, 25 and 45 km) by Monte South, Monte North, Near Sale of Blonde and Ciudad de la Imagen. 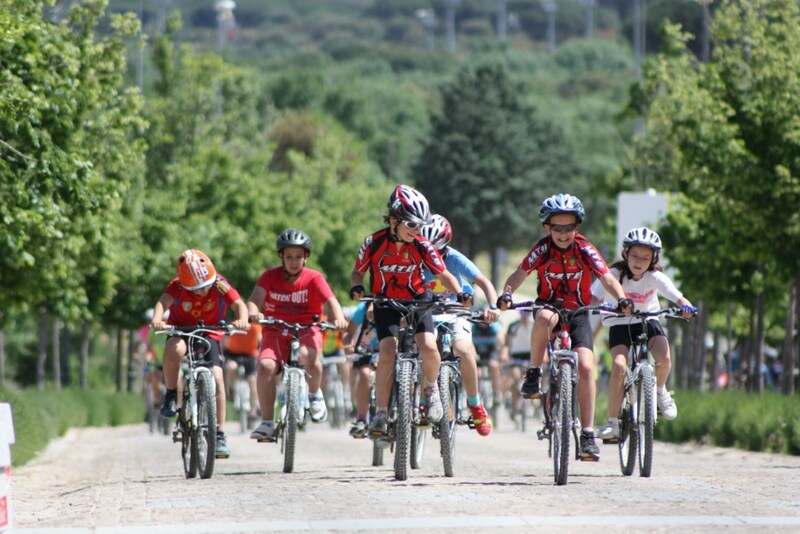 The circuit was more adept with the longest 240 participants, followed by 25 km has 80 cyclists and other 60, almost all children under 10 years old, who performed the shortest path through the south of Monte Boadilla. 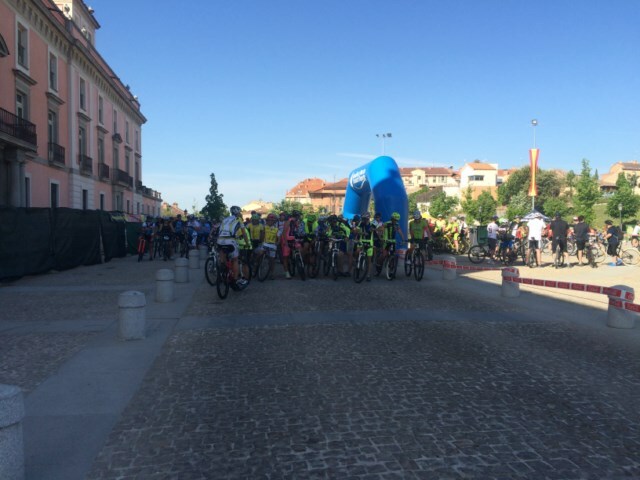 The concentration departure and arrival was held at the Esplanade spectacular Palacio Del Infante Don Luis de Borbón, where participants, escorts and curious, strolling around the area, They settled in this magnificent setting that offers Majadahonda. Each run was conducted and closed by monitors, with the support of local police and Civil Protection. 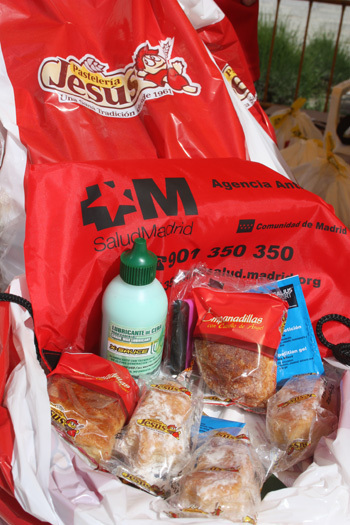 Concluding his tour participants received the supplies and various gifts for participating. 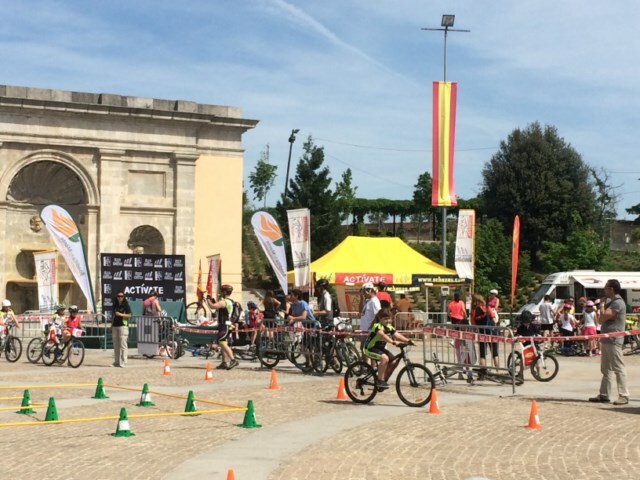 As a final fiesta surrendered 30 numerous gifts giveaway items and sporting goods cycling sets, plus a mountain bike brand Trek worth 550 €. The Mayor, Don Antonio Gonzalez Terol, turned out to 10:00 am and the Councillor for Sports, Don Adolfo Arias presented the gifts to the edge of the 13:15 with former rider and Eurosport cycling commentator, Eduardo huts and representatives of cycling clubs in town: la P. Ciclista Lute Anguita, Boadilla Cycling Club and Cycling School Majadahonda. 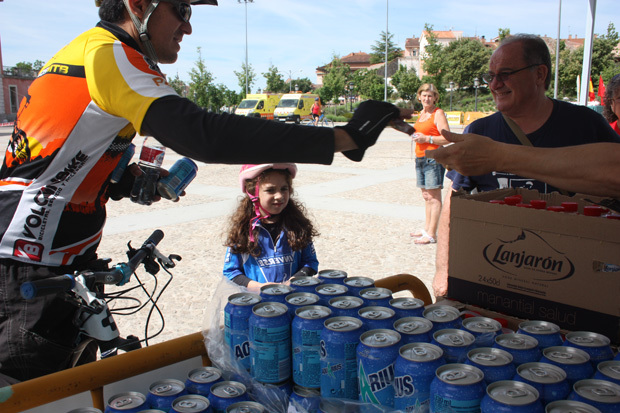 The organization had the support of the City of Boadilla and others joined the circuit Activate the Drug Enforcement Agency and the Community of Madrid who brought his mobile stand to help prevent drug, Coca Cola, Lanjaron, X-Sauce, Trek Bicicletas, Reverse, Serijel, Hero, Jesus Products, Can sport, Pelayo who contributed gifts and Refreshments for the event. Out done in different locations as a few years ago? 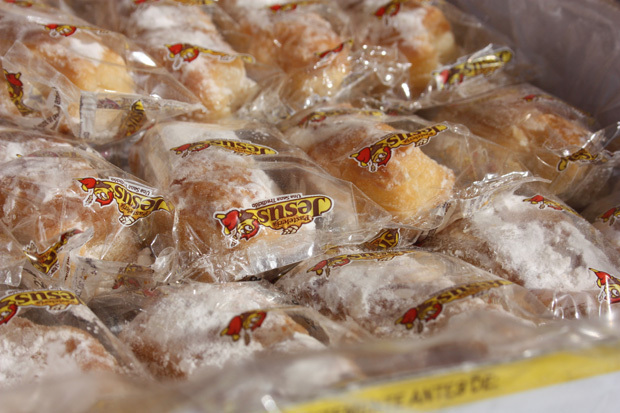 It is a pity that only Boadilla and then once a year. Great initiative which I sign insurance next year. William thank you very much so up to us and say that we are all part of good cheer and success yesterday Boadilla, in honor to organize these events and receive your recognition, this is what encourages us to go forward and try to do things we know best and with love for everyone to enjoy.